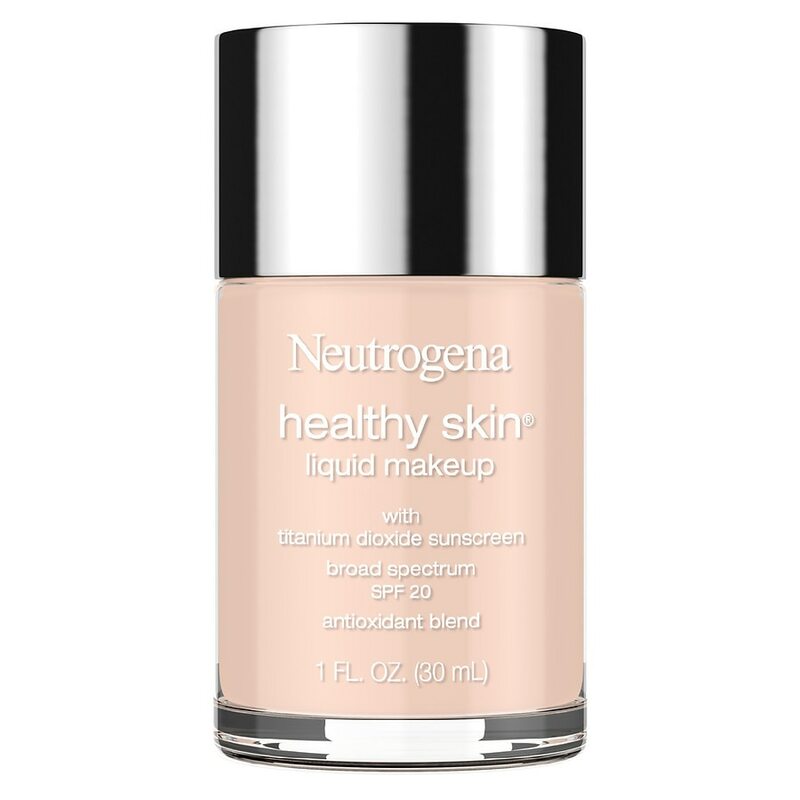 Helps keep skin looking young and healthy while enjoying natural coverage with Neutrogena Healthy Skin Liquid Makeup Broad Spectrum SPF 20. This lightweight makeup glides on smoothly and works across all skin tones to help provide flawless coverage. The silky formula contains an exclusive blend and Broad Spectrum SPF 20 that work together to help visibly improve your skin's luminosity, tone, and texture. This liquid makeup with Broad Spectrum SPF 20 titanium dioxide sunscreen is healthier for your skin than wearing no makeup at all and makes your skin look better even after you take it off. For Sunscreen Use: apply generously 15 minutes before sun exposure, reapply at least every 2 hours, use a water resistant sunscreen if swimming or sweating. Sun Protection Measures: Spending time in the sun increases your risk of skin cancer and early skin aging. To decrease this risk, regularly use a sunscreen with a Broad Spectrum SPF value of 15 or higher and other sun protection measures including: limit time in the sun, especially from 10 a.m. 2 p.m., wear long-sleeved shirts, pants, hats, and sunglasses. Children under 6 months of age: Ask a doctor. Protect this product from excessive heat and direct sun. May stain some fabrics. For external use only; Do not use on damaged or broken skin When using this product keep out of eyes. Rinse with water to remove. Stop use and ask a doctor if rash occurs. Keep out of reach of children. If swallowed, get medical help or contact a Poison Control Center right away.